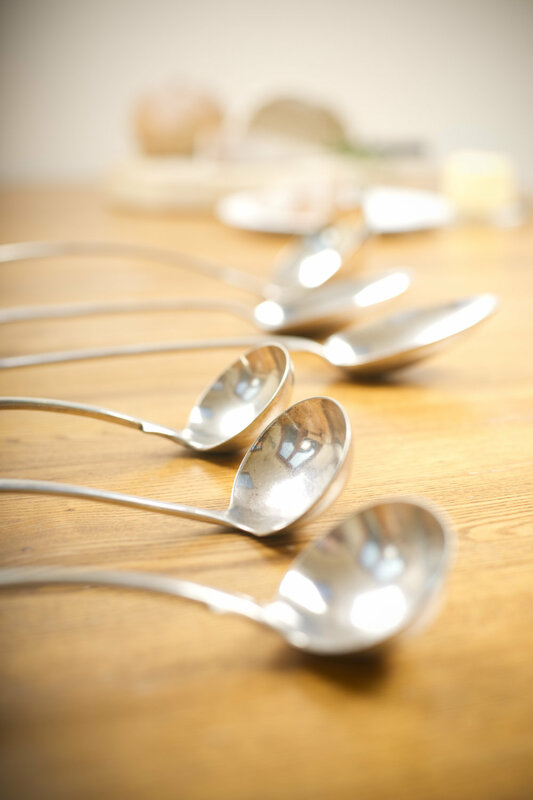 The Dalkey Food Company is a creative cooking collective with a true passion for food. Set up in 2010 by Dalkey local, Ballymaloe trained chef Ivan Varian, it is the result of a brainwave, a leap of faith and many hours over a stove. As part of the Irish Slow Food Movement, we are passionate about seasonality, fresh local produce and mouth-watering flavours. At The Dalkey Food Company we love soup. We believe soup is fuel for the soul. It epitomises the alchemy of cookery, when a few simple ingredients, combined in the right way, can create something truly wonderful, healthy and fulfilling. Warming and distinctive, our soups use only the best seasonal ingredients. We are passionate about the importance of seasonality to capture the produce when it is at its peak of flavour and goodness. These measures also mean that our vegetables can come from local producers rather than flying them into the country, leaving a huge carbon footprint. It's good for our conscience and very good for our taste buds. Soups are not confined to when the weather is chilly. We have a fantastic range of summer soups too. Chock full of anti-oxidants and goodness, they are refreshing and delicious on a hot sunny day. Food Service Vendors, What do we do for you? We delivery freshly made soup, piping hot, direct to your premises. Our soup is made fresh that morning from scratch containing only the freshest, most seasonal of vegetables. Our premium soups are gluten, dairy, meat, and MSG free thus catering to all your customer's needs. Our menus rotate on a 10 day basis thus giving you a wide selection of delicious warming soups. Our Soup is delivered hot to your door there is no extra need for re-heating, specialised staff to facilitate this, or the added HACCP burden to accommodate this. We delivery daily all around Dublin. Many fruits, when processed, lose their entire flavour characteristics. The difference in taste between a fresh strawberry and what is 'strawberry' flavoured is vast. Our sorbets are the game-changer. We keep the fresh flavour of the fruit, accent it with another to heighten the freshness, and bundle it all together in a cool delicious treat that's made from the freshest ingredients. Simple food cooked simply, without pretense or pizaz. Whether it is for a massive party or just for yourself, our menus can be adjusted to suit your event and budget. We have extensive experience from private catering for our clients and draw on many years of working both on and off-site from our private clientele. From finger food to full multiple coursed, fine-dining meals, we can cater for you. Louise and I just wanted to thank you for preparing, cooking, and serving the food on Saturday evening. From the canapes to the lamb, the food was quite simply delicious and was remarked on by most of our guests on the night and the next day. At The Dalkey Food Company, we believe food is your best foot forward with your company. Nothing can exemplify your companies ethos better then the food you offer to your client We can tailor our solutions to meet your brief for your event, and we can do it fast. Really fast. From simple canapes, to standing buffet, to catering for just a simple lunch meeting, our extended experience can work for you. The epicurean adventurer/chief gourmand behind The Dalkey Food Company is Ivan Varian. From an early age Ivan was always fascinated by food with an upbringing of home grown and hunted produce. This ignited a passion that has lived with him since that age in how we eat and what we eat. In 2010 his time as an Audio-visual design manager came to an end and he was presented with an opportunity to take up a professional role and attend training in Ballymaloe Cookery School. From there he worked up to Michelin starred kitchens and proceeded to work as a personal chef to Louis LeBroquey and The Duke of Devonshire. Through observation of the market he spotted a niche for a food service option of soup that tasted far superior to the current market standard at a cost-efficient level using his experience as both a chef and a business manager. Using feedback from café managers, he tailored and has successfully established a business supplying soups to the foodservice industry, as well as office delivery. Through constant market research he has developed a series of seasonal soups to bring to the consumer. In conjunction with this, he has co-produced, written, and co-presents alongside Jonathan McCrea, Presenter of Futureproof and Newstalk science editor, Gulp-The Science of Food and Cooking. The stage show is a 9 course bonanza of the weird and wonderful aspects of where the fields of science intersects with how we cook, eat, and taste our food. The boys have performed this show at The Festival of Curiosity, Donegal Festival of food, Northern Ireland Science Festival, and Electric Picnic where they will be returning to perform in The Theatre of Food in the Mindfield Area in September 2018 for their fourth year. As a graduate of the Musgraves food academy, SuperValu has been great in aiding the business to grow into a completely new sector. By providing the company with insight, mentorship, and practical knowledge of the retail sector through an intensive course, The Dalkey Food Company has been able to grow its current market base, expand to larger production kitchens, hire highly-skilled staff, and purchase more from local growers and producers, and thus strengthen their slow food ethos. Ivan is as dedicated to music as he is to food and he also Djs in Festivals such as Electric Picnic, Body and Soul and The Beatyard. Here at The Dalkey Food Company we really love food. We love everything that goes into making a great soup, a simple weekday meal for two or a full-on dinner party for a gang of friends. It's a pleasurable process, something to savor both during the preparation and afterwards as you enjoy the results with an excellent glass of wine. Yes, it takes a certain skill and general culinary knowledge in order to cook well and trust that your food will match your enthusiasm, but we also believe that it just takes a love of flavour and some pure abandon to become a good cook. We can teach you the skills and practice does, indeed, make perfect, so choose the best ingredients you can and dive in. Enjoy it, don't dread it! Our motto is Buy Irish, Buy Local, Buy in Season. You will end up with a better meal if you do. It's important to take an interest in where your food comes from. So many of the larger supermarkets are guilt of flying in their vegetables from far flung countries where they were picked too soon, stored in zero oxygen, and then blasted with air and artificially ripened before reaching the shelves. The produce are not only jet lagged and carbon-heavy, they are not much nutritional use either. The days of being proud of a 'frequent flyer' status are over, for both veg and people. Seasonality is important to us. In fact, it pretty much defines us. You may have heard it mentioned many times but not been quite sure of what it means, so let us tell you. It means eating vegetables when they are in their natural season. So, strawberries in Summer, root vegetables in Winter, lamb in Spring etc. This method of harvesting and consumption is not only better for the producers and the environment, it is better for us. Things are seasonal for a reason and when you eat them then, you are getting the best and most vital benefits. The nutrients will be at their most powerful and they will be at their most flavoursome. Have you ever bought peaches in winter? Not so juicy and bursting with colour and taste, right? Let's think about the dedicated local producers we have in this country... They work so hard, for so long to bring their produce to market and they are being squashed by the big international supermarkets who monopolise the shelves. Some of our most wonderful artisan producers of award winning cheeses and meats struggle to get their rightful place in stores. We think this is a terrible shame. What will happen to them over time if we don't make a conscious effort to support and champion them? Talk to your local greengrocer and butcher. They will be a fountain of information for you on what's in season and what's good right now. And as a rule, they are always passionate about what they are selling. Don't let the idea of local stores die out; get in there and strike up a conversation, tell them what you're thinking of cooking, they'll have lots of ideas for you. We love our local green grocers and butchers. Smell, taste and feel before you buy....good food involves the senses. Put them to use.